An assortment of different masking and low-tack painter’s tapes. 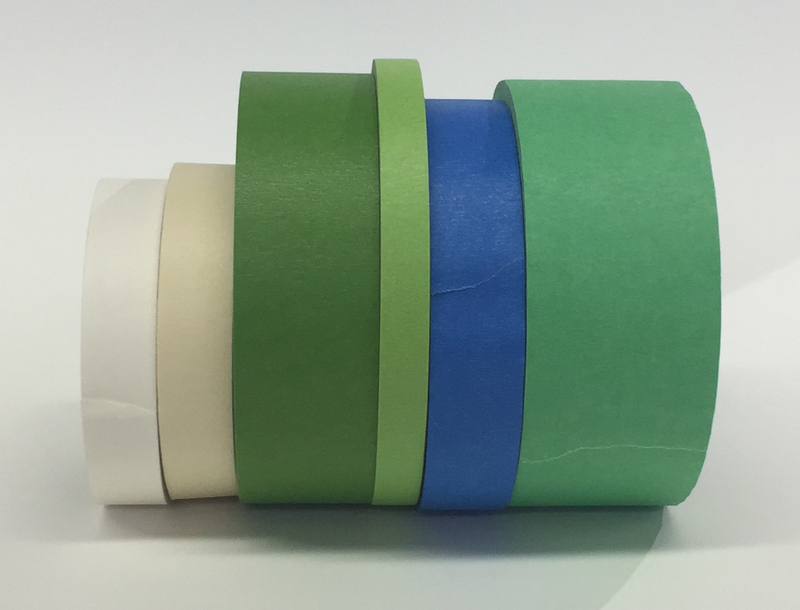 Painter’s tapes are ubiquitous, ranging from traditional masking tapes to newer yellow, blue, and green ones that tout different levels of tack and easy release, or highlight new technologies to tightly lock down an edge. For many of us, they have also become part of the common materials found in our studios. And what’s not to love? Whether to help with hard edges, or create a clean border around a work on paper, few would think twice about anything going awry. After all, most have been made and marketed with paint in mind, and by and large fine art painters have used them routinely with success. But a few years ago we also happened to stumble, quite by chance, on some curiosities that can happen when using these with oil paints and wanted to share those with you, along with some additional testing and recommendations. 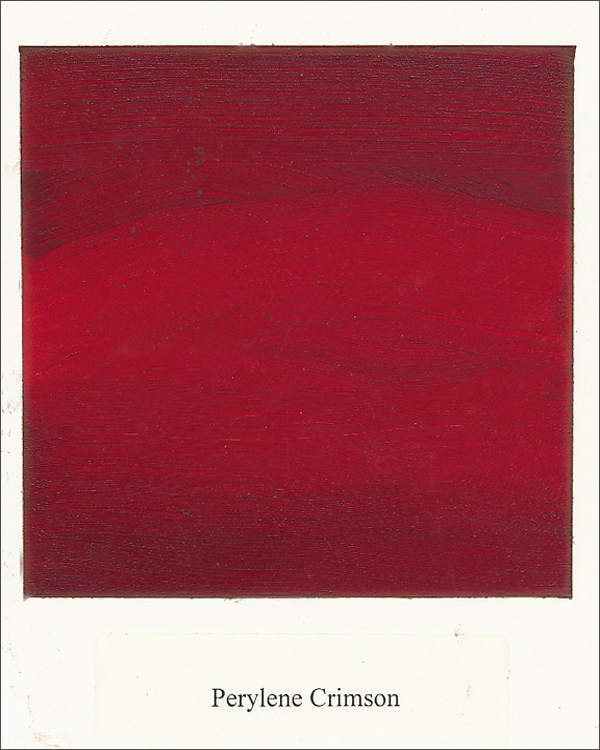 (Image 1) Example of a paint-out of Williamsburg Perylene Crimson where the masking tape had been removed immediately afterward. 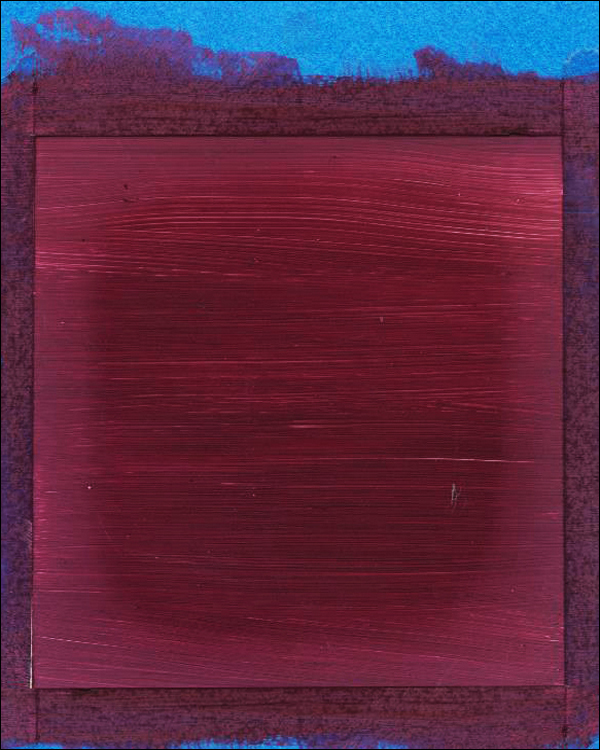 (Image 2) Example of a paint-out of Williamsburg Ultramarine Pink where a matte halo developed after being allowed to dry with the painter’s tape in place. Initially thought of as an anomaly, we subsequently found that we could easily reproduce the effect, and not simply with the original blue tape, but with a wide range of tapes made for masking off areas. And there things stood for many years – an isolated curiosity we would highlight and show whenever giving a presentation to conservation students, using it as an example of something clearly in need of explanation. While no one has ever taken up that specific challenge, we recently decided to revisit the issue ourselves and carry out some additional testing. We share those results below. We tested as many painter’s tapes as we could find at a large building supply store, plus a clear packing tape and a special low-tack one made for graphic arts, making a total of 10 altogether. We included both premium brands that touted the latest innovations and the more generic ones, down to your classic rolls of beige masking tape. The results we got were not uniform across all types of tape. Some, like the packing tape, or a plastic painter’s tape made explicitly for outdoor use, had no impact whatsoever. However, both were difficult to remove and would be problematic for most artwork. Of the rest, there was really no easy pattern that could guide you. Low end and high could both display problems, while some tapes that performed poorly in the past appeared to do better in this most current round. Unfortunately, this means there is no easy recommendation we can make in terms of a specific brand or type of tape, and one will need to do some testing on their own since changing formulations and constant updates make this whole field a moving target. (Image 3) Absorbent tissue applied to the underside of the tape showed no sign of oil. 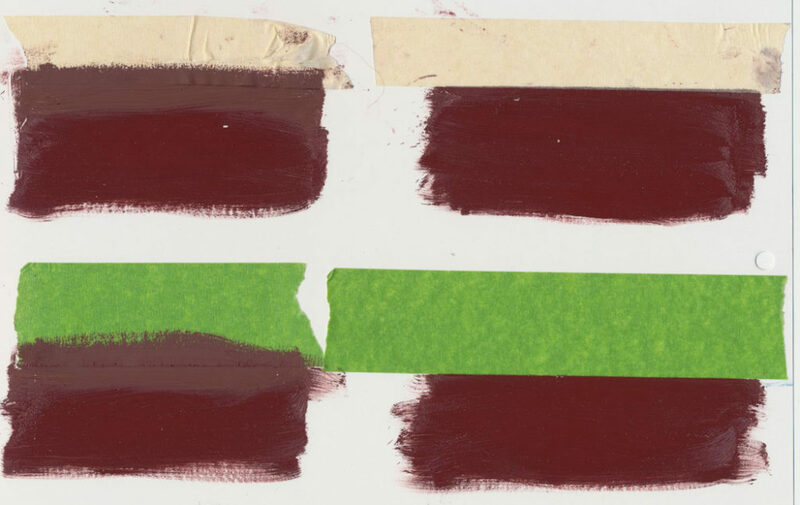 Darker areas are the result of the opaque paint on the top of the tape. The tissue itself, however, is clean. 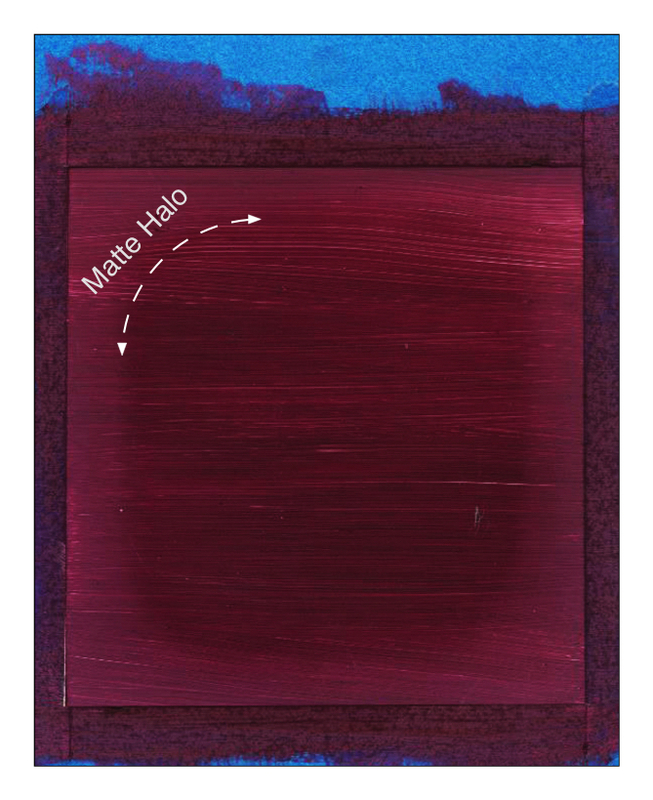 (Image 4) Examples of the matte halo effect when the paint extended over the top of the tape. Color shown is Williamsburg Mars Violet. (Image 5) The examples on the right had the tape removed and replaced with a clean piece after painting along the edge. Color shown is Williamsburg Mars Violet. 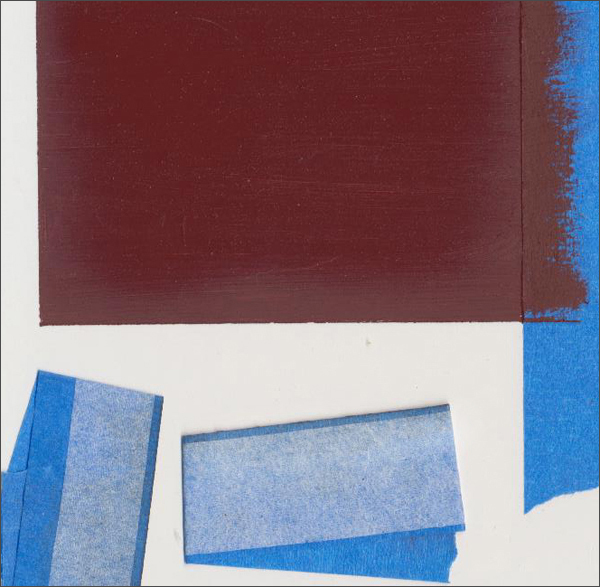 (Image 6) Examples where a second layer of tape was applied on top of the first, then pulled immediately after painting, leaving the clean underlying tape in contact with the paint along its edge. Color shown is Williamsburg Mars Violet. 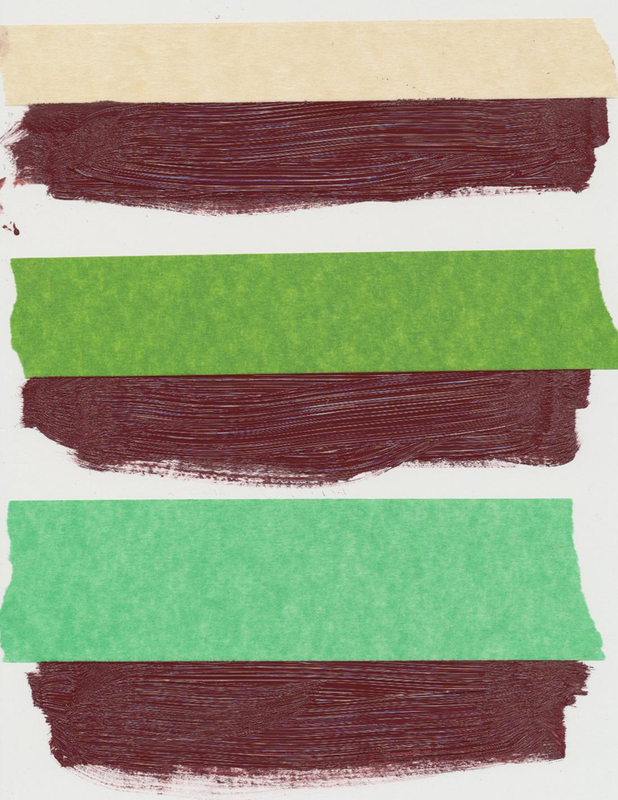 (Image 7) Williamsburg Cadmium Red Medium and Mars Violet painted directly onto the adhesive side of a green painter’s tape. Both paints dried glossy. 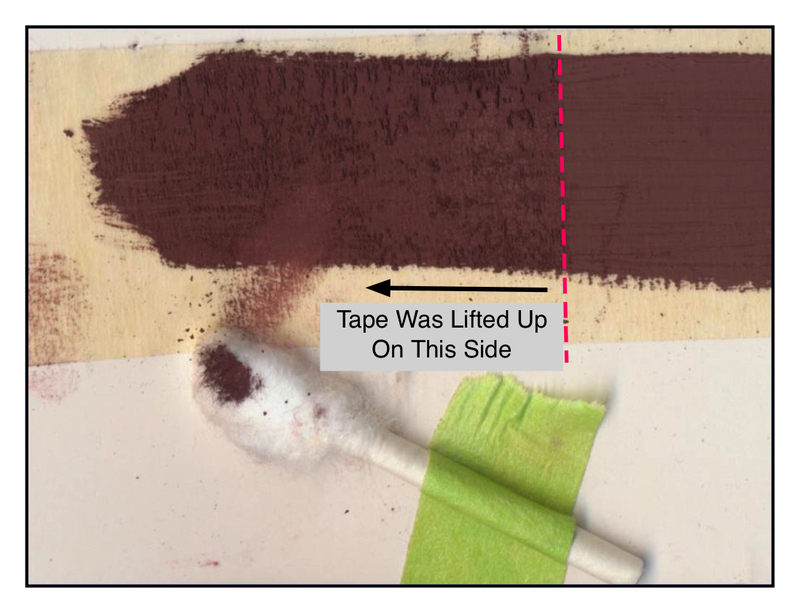 Example showing the impact of different amounts of time that the paint and tape are in contact. Color shown is Williamsburg Mars Violet. (Image 9) Williamsburg Mars Violet turned into a clay-like, waxy substance when painted on top of various masking and painter’s tapes. 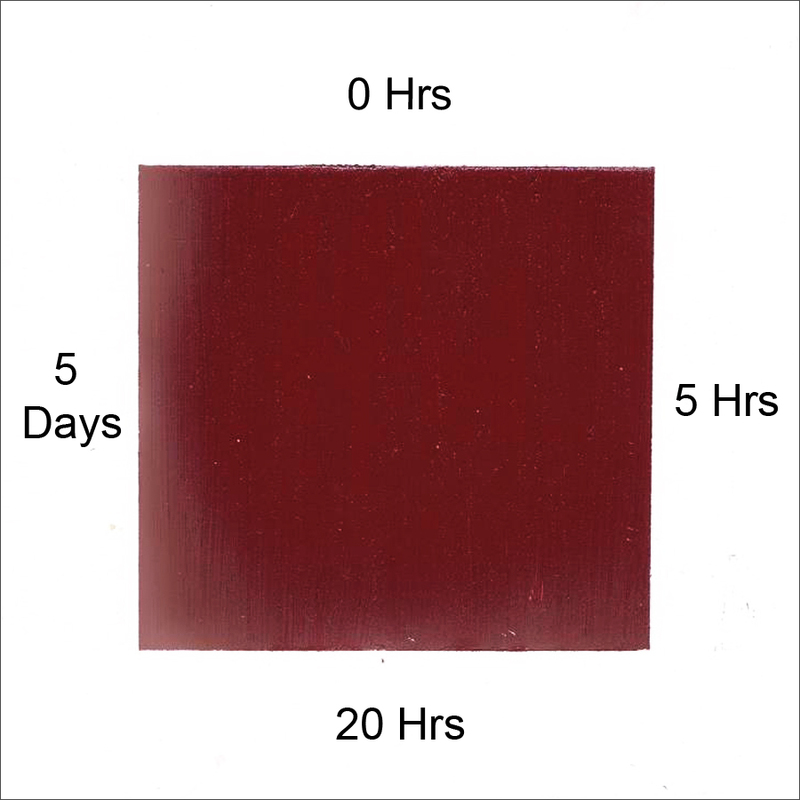 Most of the current testing used Mars Violet as a form of control as it performed reliably, drying in a reasonable period and, by itself, to a fairly consistent glossy finish. In the past, however, a range of other colors were clearly affected, so we knew it was not simply an isolated incident. Unfortunately, trying to fully test a wide range of different pigment chemistries, formulations, and drytimes was far more extensive then we could undertake. That said, we did look at one very small set chosen mainly around drytime as a factor, choosing a selection of faster drying colors versus a slower drying one like Mars Black. And indeed, this did seem to impact the results. 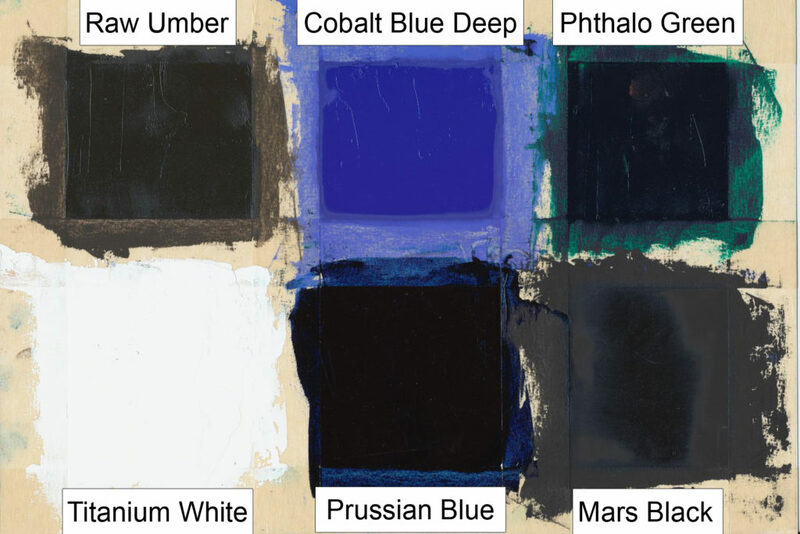 Five colors that typically dry in 1-3 days (Raw Umber, Cobalt Blue Deep, Phthalo Green, Titanium White, and Prussian Blue) had dramatically better results than the Mars Black, as well as the Mars Violet used in many of the other examples we have shown. (Image 10) However, Cobalt Blue Deep was still impacted, and more work would need to be done to rule out other variables and make sure the differences we are seeing are not somehow tied to other factors. 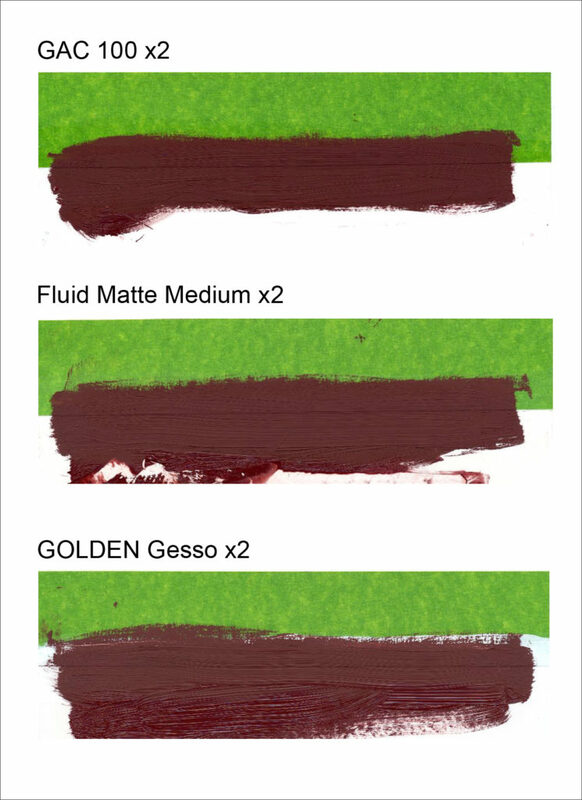 (Image 10) A range of other colors that were tested, with a focus on faster drying ones versus the more moderate drytime for Mars Black. Various other factors, however, might also factor into the differences seen. We also did not test the impact of mediums or solvent additions, which would obviously be critical to understand. So these are definitely avenues for future study. (Image 11) Sealing the edge of the tape with two coats of GAC 100, Fluid Matte Medium, or three coats of Golden’s acrylic Gesso, was not effective at preventing the matte effect. Test any tape you plan to use. This can be as simple as applying a strip of tape to a piece of glass or other sealed, flat surface, and brushing paints along the edges and allowing them to dry. However, by itself, this is not always full proof as there might be batch to batch variations, changes in formulations, or other factors that the testing cannot account for. Pull the tape as early as possible. While ideally, you should pull it immediately after applying any paint along its edge, certainly try to do it within the first few hours. Use a second layer of tape. If you need the tape to remain in place for an extended period, try applying a second layer directly on top of the first and pull it whenever painting along the edge. This can be done multiple times if the area will be revisited, and could be very useful when using tape to secure a piece of paper or canvas to a panel. Finally, if you are a conservation student or researcher and would like to pursue this issue, we think it is certainly an area of concern that has not been covered in the literature. If interested, please contact us and we would be happy to share the particulars of our testing and to help in any way we can. And as always, if you have any questions or concerns of your own, let us know in the comments or email help@goldenpaints.com. I’m using PRO Premium PH Neutral black artist’s tape for masking one inch square oil paintings and for adhering primed linen to lightweight panels for plein air painting. After a year, so far so good. I’ll let you know if this changes. Thanks for commenting, and great to hear! And yes, let us know if you ever notice anything. As a chemical engineer who worked for 3M, I suspect that it is the low adhesion backsize (LAB) coated on the back of the tape that is causing the problem. Based on reading your article, when the oil based paint is painted over the tape the LAB is probably leaching into the paint giving the halo effect around the edges. Thank you so much for commenting! Your insight confirms our own sense of the likely cause. Would you happen to know the general class of material of these LABs? One of the things that have been surprising is just how powerful even small amounts of this material can be in terms of disrupting the curing process, as well as its ability to migrate through various acrylic coatings applied on top. Thanks for this. What about tape with acrylic, is it ok? We are happy to say yes, as far as we have ever seen. A lot of that has to do with the fact that the tapes are largely engineered to work with water-based paints, like acrylics and latex house paints, and of course, those systems dry so quickly and by a very different means. Right now I am working on some oil on canvas artworks and things are different, I have faced some problems and I would like to share them with this community and get some feed back. In the first artwork, I have used the following oil paintings (Van Gogh): Yellow Ocher, Red Cadmium, Yellow medium and Liquin Original as medium. Process is painting with thin layers and transparencies. Before putting the tape to work on other areas, the surface was left drying for 3 months. The results are brilliant. No tape marks, no halo effect. Just perfect as if it were an acrylic painting. In the second artwork, I am facing 2 problems. For this painting, I have used Cobalt Blue, Prussian Blue, Titanium White and turquoise Blue (Van Gogh). Same, 3 months of drying and letting it repose, then using tape to work on other areas. When I removed the tape, I saw, in some places, the painting of surface was randomly removed and stuck on the glued face of tape. Also, the tape left an halo effect on the painting everywhere. Thing is, how to remove this tape mark; it is annoying. I do not know if isopropyl alcohol would be a good idea, or just water and soap. If anyone has an idea, I would appreciate it. As for attempting to remove the marks with isopropyl alcohol, we would caution against that as you could damage the surface more and get significant color lift. Soap and water might be possible if done carefully but is unlikely to remove much beyond normal dirt, and would still advise testing anything using a cotton swab in a small area. Hope this helps a little. We wish we had better answers for you but would rather have you work with a professional conservator than to simply speculate what might work without more testing involved.